Complex Says: Similar to Raekwon, Capone and Nore made a sequel to a classic more than a decade after the fact. 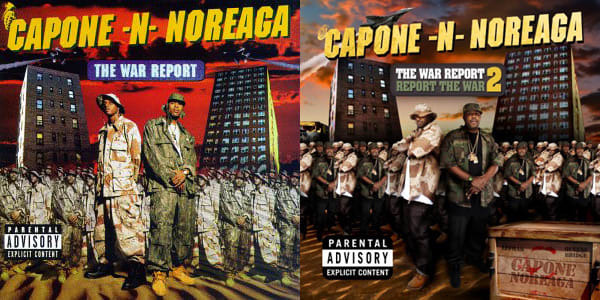 The only real difference between the original and the sequel's covers is the crate that appears in the lower-right hand corner of The War Report 2: Report The War cover. What's in that crate? We're guessing hoodies and Timbs.